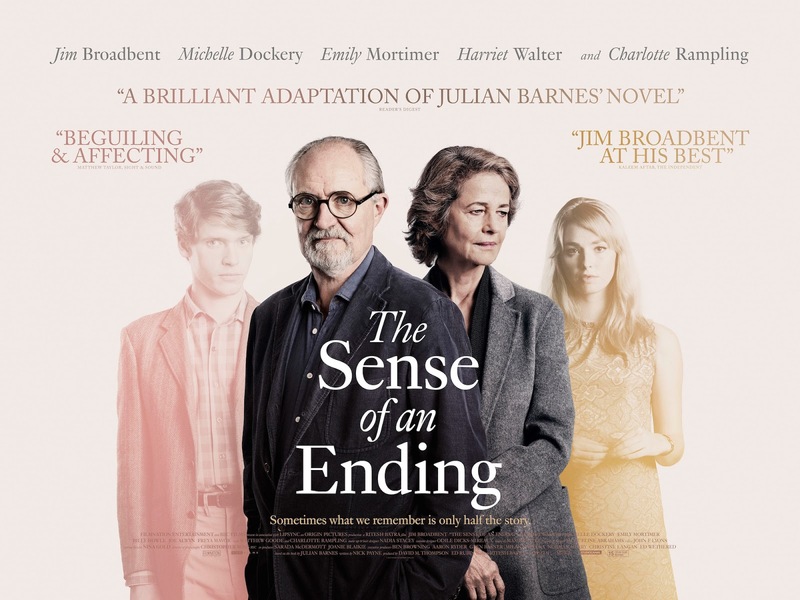 The Sense of an Ending is an affecting film based on Julian Barnes' Booker Prize winning novel of the same name. Starring Jim Broadbent, Charlotte Rampling, Harriet Walter and Michelle Dockery plus some emerging UK talent - Freya Mavor, Billy Howle and Joe. The Sense of an Ending is out in UK cinemas now. The film follows Tony Webster, divorced and retired, who leads a reclusive and relatively quiet life. One day, he learns that the mother of his university girlfriend, Veronica, left in her will a diary kept by his best friend, who dated Veronica after she and Tony parted ways. Tony’s quest to recover the diary, now in Veronica’s possession, forces him to revisit his flawed recollections of his friends and of his younger self. As he digs deeper into his past, it all starts to come back; the first love, the broken heart, the deceit, the regrets, the guilt... Can Tony bear to face the truth and take responsibility for the devastating consequences of actions he took so long ago?